Jobu ponders what kind of role young left-hander Vidal Nuño might have on the Yankees in 2014. With an average age of over 33, the Yankees are, by far, the oldest team in baseball. Joe Girardi is going to have his work cut out for him as far as keeping guys healthy, and replacing the guys that get hurt (it’s inevitable). Vidal Nuño could be one of the young guys who are called upon to contribute in 2014, so let’s learn a little bit about him before Spring Training starts. Last year the Yankees used the most players in team history, with 56. One of those guys was a young left hander named Vidal Nuño. Now, as far as I thought, the kid’s name was Nuno. Everyone on YES and Yankees radio pronounce it like Nuño. Baseball reference lists him as Nuno, but wikipedia as Nuño. I sent Vidal a tweet, and he graciously wrote back that it is, in fact Nuño, which is how we’ll refer to him for the rest of this post. Anyway, he was called up on April 27 last year, and made his big league debut on April 29, in relief of Andy Pettitte in a 9-1 Yankees loss. I was actually at that game, so I got to watch Nuño make his debut. By the time he came into the game, things were out of hand, but he pitched 3 scoreless innings, allowing only 4 hits and striking out 2. He was sent down shortly after that, but came back for a spot start against the Indians as part of a double header on May 13. All he did then was pitch 5 scoreless innings while only giving up 3 walks and 3 hits. He would go on to make three more appearences, including two starts, finishing with a 1-2 record and a 2.25 ERA in 20 innings, with a paltry WHIP of 1.100. Unfortunately, after being sent back down on May 30, he suffered a groin injury that would keep him out for the rest of the season. He’s back now, and looking to fight for the fifth starter role. One thing I will say about Nuño, is that he has a great story behind him. 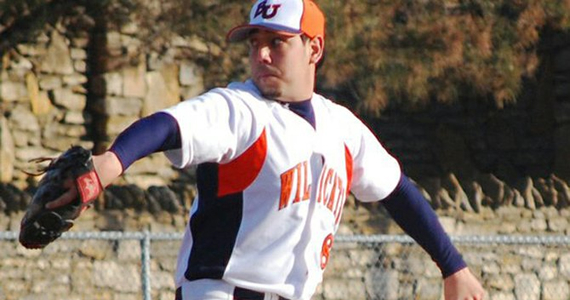 He was originally drafted by the Indians in the 48th round of the 2009 draft out of Baker University in Kansas. He put up a solid 2009 season, but was straight up released after a mediocre 2010 season (maybe that start last year was a bit of revenge?). After starting the 2011 season playing for the Washington Wild Things of the Frontier league, the Yankees signed him. Within two years, he won the James P. Dawson Awarda as the best rookie in Yankees camp, and making his debut in the Bronx. I bet the Indians are kicking themselves a bit over this one? Scouts seem to think he’s meant to be more of a long man because they think he’ll have trouble consistently getting hitters out after one or two turns through the orderd, but he showed a lot of ability last year. I don’t see why he couldn’t be a successful back of the rotation starter in the bigs. At 25, Nuño has reached the age where he’s probably going to either make an impact or not make an impact. He’s a little too old to be labeled a “prospect”, but that doesn’t mean he can’t play a significant role for the Yankees in 2014. He has kind of been under the radar his entire career, and that kind of relative anonymity might help him a lot this spring. I think most of the focus this spring will be on newly signed Masahiro Tanaka, and also CC Sabathia, who is trying to bounce back from his worst year ever. Within that fifth starter competition, I think most of the pressure will be on Michael Pineda. Pineda hasn’t thrown one major league pitch since the Yankees traded top prospect Jesus Montero for him two years ago. I think Nuño can continue to pitch well in a relatively relaxed environment, and do well for himself. Ideally, I think I’d want Pineda to step up and take hold of that fifth starter spot. 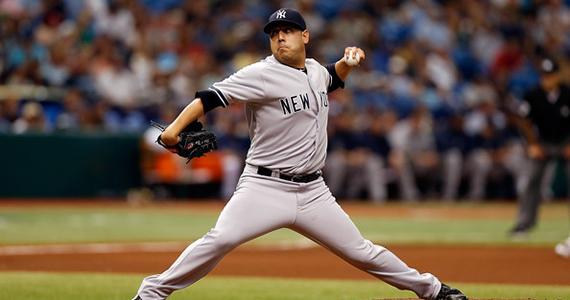 Nuño could start the year either in the AAA rotation, or in the Yankees bullpen as a long man or a second lefty. Either way, I think he’ll end up being one of the first options if the Yankees need a spot starter for a double header, or need to replace someone who gets injured. There’s no doubt in my mind that Nuño will be on the 25 man roster at some point this year, and I look forward to seeing him. thanks for the help with the name. much luck this spring.